Design by mondii, published in an edition of 500 copies. For my Father. Tightrope, by comparison, is a more recent Celer production and thus presumably representative of the group’s current sound. 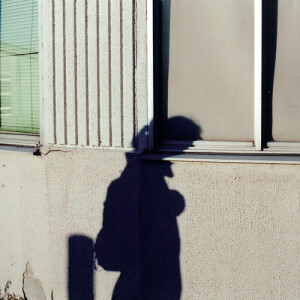 Created in 2010, the single track, seventy-minute piece captures the now Tokyo-based Will Long working alone under the Celer name; however, based on Tightrope, the differences between the originating model and the current one are slight. In customary manner, the work utilizes a broad range of sound sources, with piano, television, synthesizers, whistling, pipe organ, acoustic guitar, laptop, a medicine drip buzzer, car noise, and numerous other unidentified sounds as base material; on paper, the work is described as a collage that Long assembled from twenty-four separately titled pieces. But again, in true Celer fashion, all such elements have been transmuted so thoroughly that their identifying characters have long vanished, leaving us instead with a softly wavering, organ-like dronescape that unfolds ever-so-placidly. Softly surging washes of sound whistle and whisper, their layers overlapping one another like gently cresting waves, and the work ultimately plays like an infinitely long sigh distilled into serene aural form. Admittedly, neither of the Celer releases adds anything terribly novel to the Celer sound-world—much of what’s presented in both recordings will seem like familiar territory to long-time Celer devotees—so one might best think of them as two more pieces to be added to an ever-growing discography or as ideal entry-points for anyone new to the Celer galaxy. Tightrope is ultimately a blur. It derives inspiration from Long’s trip to Tokyo with Yui Onodera, and was completed upon his return back to the US. Once the listener acknowledges that the music is founded on Long’s fresh reminiscences, the album’s structure and behaviours starts to make sense somewhat; just as memories arrive as a rush of partial detail and contorted chronology, Tightrope swirls multiple sensations and experiences into an essence of a place and time. There’s a certain indistinction to the piece that can sometimes cause interest to tail off, as if Long’s recollections are too vague to solidify in anything more than murky blotches of colour or disembodied smells that can’t be placed, but it’s never long before a certain shimmer of hidden static or ghostly whistle lures the listener back in. ‘Tightrope’, Celer’s first album of 2012 was created two after Will Long had returned home from touring Japan. It is constructed from source material he first used at a performance at a temple in Tokyo, and later re-arranged, layered and assembled back in the U.S.A. Traces of piano, television, synthesizers, a crackling fireplace, pipe organ, acoustic guitar, ringtone and other ephemera are smudged into one continuous exhalation of blurred harmonics which somehow evoke subtle emotions in much the same way a faint smell might trigger memories long forgotten. Tightrope is an aural scrapbook released on UK-based ambient label Low Point that’s sourced from a 2010 performance at a Japanese temple in addition to “television, synthesizers, fire crackling in the fireplace, whistling, pipe organ, eating ice, acoustic guitar, laptop, an afternoon conversation, a medicine drip buzzer, car noise, my ringtone, contact mic and many others I can’t remember” from the same trip. So this is what a Celer field recording sounds like: smeared, stretched, gaseous, fragile. In other words, exactly what you’d probably expect, but beautiful just the same.